Karl Zambra said his local community is a victim of the drugs trade. A DUBLIN MAN who believes his local community is a victim of the drugs trade has been jailed for two years for his role in selling €40 worth of cocaine to undercover gardaí. Karl Zambra (31), of St Teresa’s Gardens, Donore Avenue, pleaded guilty at Dublin Circuit Criminal Court to possessing drugs for sale or supply on 18 August 2014 at St Teresa’s Gardens. At the sentencing hearing, defence counsel Keith Spencer BL said Zambra grew up in the area and that it had been “destroyed” by drugs. He said his client viewed the community itself as a victim of the drug trade. Earlier, Detective Garda Eoin Kane told prosecution counsel Maurice Coffey BL that two gardaí in plain clothes went into St Teresa’s Gardens as part of an undercover operation to see whether they would be offered drugs. After the gardaí purchased €40 of cocaine, Zambra gave them his brother’s mobile phone number and said to call it to sort themselves out in the future. Kane said gardaí believed Zambra was “directing” the operations of drugs being sold. He was not arrested until almost a year later so as not to blow the cover of the gardaí. Zambra has 77 previous convictions, including for the misuse of drugs, burglary, dangerous driving, drunk driving and a violent disorder offence in a garda station. Spencer said that while Zambra accepted he had provided the phone number to gardaí and was thus guilty of the offence, he did not accept that he was directing the sale of drugs around the area. 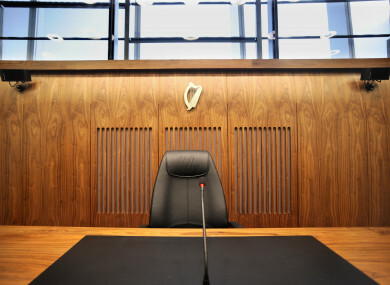 Coffey said the facts of the case Zambra had pleaded guilty to were that the gardaí believed him to be directing the sale of drugs – and that this had not been disputed by Spencer in cross-examination. Judge Sheahan noted that Zambra was at high risk of re-offending and “continues to seek to minimise his role”. She said though street level dealing will always be modest, Zambra provided an important role in the supply of drugs. She imposed a two-and-a-half year sentence with the final six months suspended for 12 months. Email “Man jailed for selling €40 worth of cocaine to undercover gardaí ”. Feedback on “Man jailed for selling €40 worth of cocaine to undercover gardaí ”.